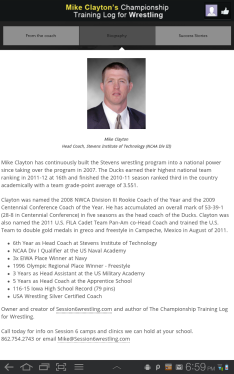 Do you love the sport of wrestling and want to be your absolute best? 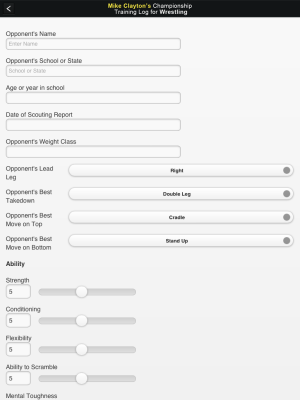 If you have ever struggled making weight, had pre-match nerves keep you from wrestling your best or felt like you are just a few steps from raising your wrestling to the next level, then this App will help you get over the hurdles that stand in your way. 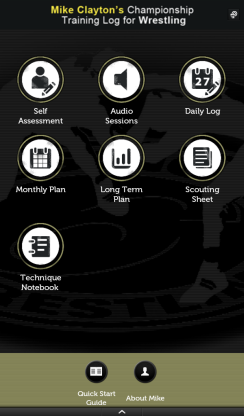 Mike Clayton's Championship Training Log App helps you create a road map to set and reach the goals you want in the sport of wrestling. 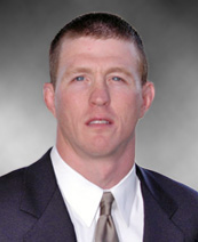 Anyone who has wrestled successfully knows that this is more than just a sport - it is a way of life. 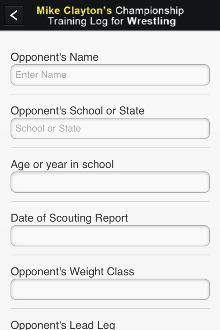 Thousands of collegiate, high school and youth wrestlers have effectively used this tool to become champions! 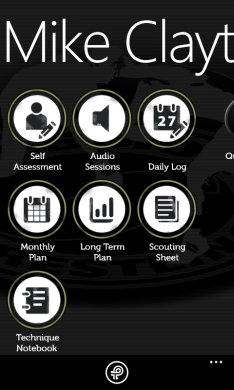 When you use the Championship Training Log App, you'll make positive changes in your training, mind set and way of life. 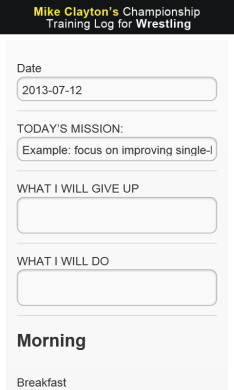 You'll improve your chances of reaching your goals and dominating your opponents. 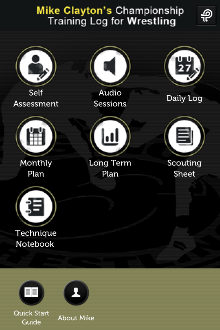 You'll log and study your habits in nutrition, hydration and recovery. Create a vast library of the techniques you've learned so you can remember, review and retain 100% of what you have worked so hard to master. 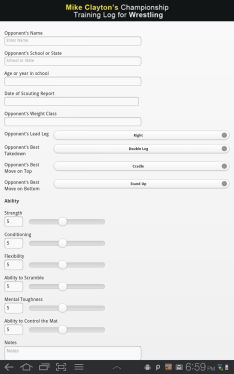 Scout your opponents (past, present and future) and keep a detailed summary of their strengths, weaknesses and best moves. 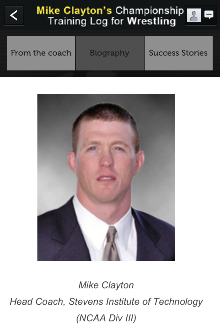 You’ll test yourself in the areas of physical, technical and mental strength. 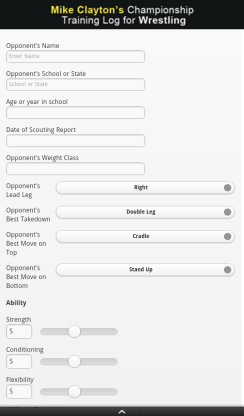 Keep the self-assessment test on file by emailing it to yourself and email the results to your coaches so they can help you fix the areas you've identified you need to work. 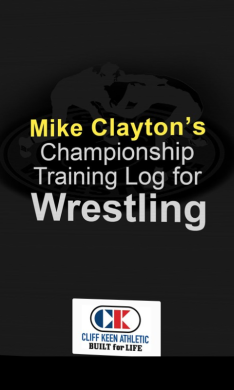 Mike Clayton's Championship Training Log App is easy to use and has been built on Coach Clayton's more than 35 years of wrestling and coaching experience. 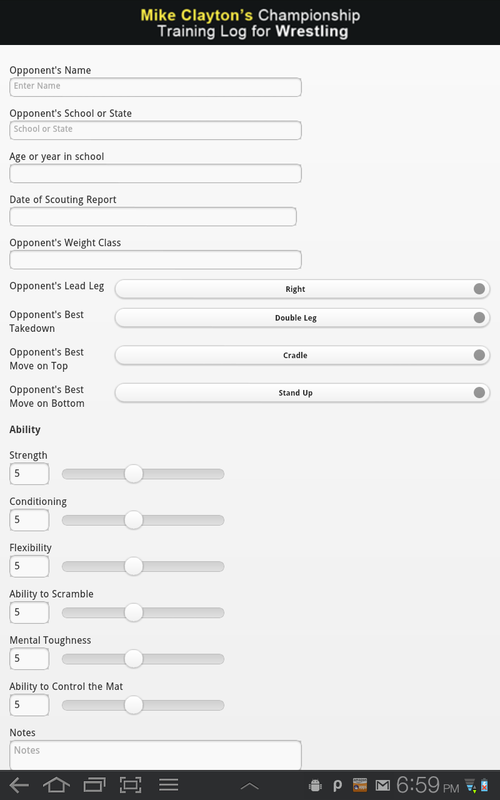 Start evaluating your training right away! 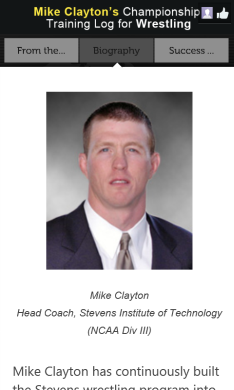 Clayton was named the 2008 NWCA Division III Rookie Coach of the Year and the 2009 Centennial Conference Coach of the Year. 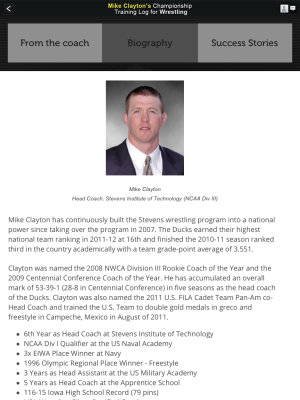 He has accumulated an overall mark of 53-39-1 (28-8 in Centennial Conference) in five seasons as the Head coach of the Ducks. 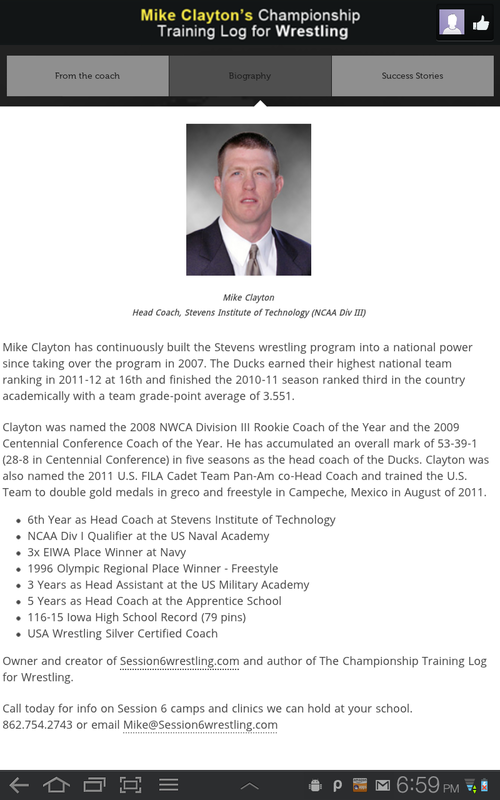 Clayton was also named the 2011 US FILA Cadet Team Pan-Am co-Head Coach and trained the US Team to double gold medals in greco and freestyle in Campeche, Mexico in August of 2011.